Tanya Crossman is an Australian who has lived most of her adult life in China. She is passionate about supporting Third Culture Kids, Cross Cultural Kids of all kinds, and cross-cultural families, which she has done over the past 13 years through mentoring, writing, research, and consulting. 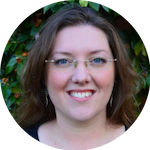 Tanya regularly works with international schools, providing consulting on cross cultural competency and supporting Cross Cultural Kids, presenting to students, educators, and parents. Tanya is also the author of "Misunderstood: The Impact of Growing Up Overseas in the 21st Century" (2016) and is currently researching toward a new book for young adult TCKs. She blogs regularly at her website (www.misunderstood-book.com) and has appeared on numerous expat and TCK related blogs and podcasts. Tanya has served on the FIGT Board since January 2019. Contact her at logisticscommittee@figt.org.